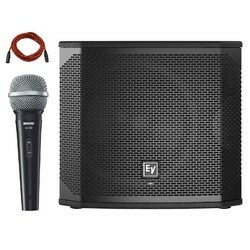 Offering you a complete choice of products which include electro voice evolve 50 portable column system, electro-voice evid 4.2 speakers, electrovoice evid 6.2 speakers, electrovoice c 10.1 speakers, electro voice 4.2 fm speakers and electro voice evid 6.2 fm speakers. EV Quick Smart Mobile application: quickly and wirelessly configure, control, and monitor up to six EVOLVE 50 systems simultaneously, and receive immediate notification during critical performance conditions. Bluetooth® connectivity is available in select countries. Ultra-wide 120° horizontal coverage via custom designed waveguides and array-formed 40°asymmetrical vertical coverage means all acoustical energy is directed towards both sitting and standing audiences. 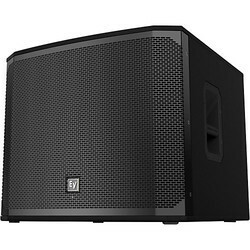 With the support of reliable vendor base, we are supplying and trading superb quality EVID 4.2 Speakers. Our offered speakers are heavily demanded in the market for their high-performance output and trendy design. These speakers owing to their procurement from highly reliable vendors are highly efficient and possess long functionality. 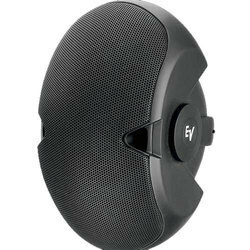 Moreover, these speakers are offered to customers at market leading rates. Secure Phoenix-style pass-through connectors for easy wiring and installation. 90 x 60 pattern for best coverage on mid-size stages. 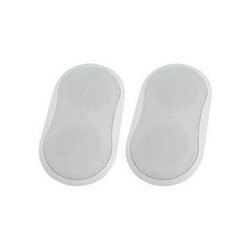 40 monitor angle with rubber feet. Power Consumption 100 - 240 V, 50 - 60 Hz, 1.6 - 0.8 A Current rating is 1/8 power. Frequency Response 85 Hz - 20 kHz Full space measurement using the music DSP preset and 150 Hzlow pass. Frequency Range 65 Hz - 20 kHz Full space measurement using the music DSP preset and 150 Hzlow pass. 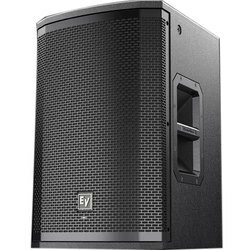 We are specialized in supplying and trading superb quality ETX 10P Electro Voice Powered Loud Speaker. 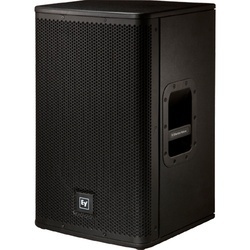 Our offered speakers are widely recommended for high frequency and sensitivity as these are procured from authentic vendor source. Our vendor intent to make these products as high-performance one by employing high-end technical aspects in these speakers. Moreover, we supply these products to our customers in defect proof packaging for serving wide clientele base. 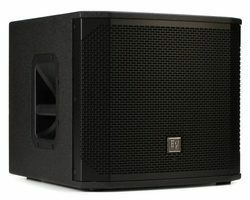 We are highly acclaimed enterprise involved in supplying and trading superb quality EKX 15S Passive Subwoofer. These products have gained huge repute for mindblowing performance and stylish design, owing to their procurement from trusted vendor. Our vendor manufactures these products by utilizing high-quality raw material and modernistic technology as per latest industrial norms. QuickSmartDSP features best-in-class processing. Easy setup via three presets, sub/top system-match, five user programmable presets, visual monitoring of limiter status, input level control and meters, and master volume control to optimize gain structure, all via LCD. Ideal for portable and installed applications.Professional-grade hardware: integrated M20 threaded pole mount plate and two-handle design for easy lifting. 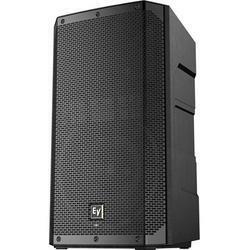 We are remarkable entity, engaged in offering superior quality Dual 15 Two Way Passive Loudspeaker (97.2lbs 44kgs). Our offered loudspeaker is designed and manufactured by our associated vendors in compliance with international quality standards. 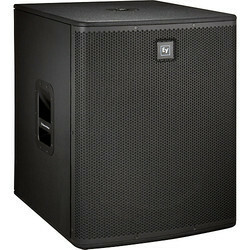 We offer this loudspeaker in various models and designs and is supplied within the promised time-frame to our clients. To meet the varied needs of clients, it is offered in different technical specifications at highly competitive prices. 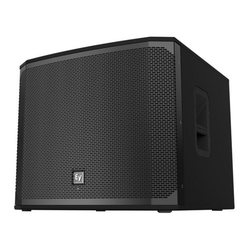 Dual woofer delivers low end punch for applications that demand high volume output and an ultra-wide frequency response from a single cabinet. Dual 15" woofer and 1.5" high-frequency titanium compression driver. 96-dB SPL sensitivity, 137-dB max SPL. 600-W continuous and 2400W peak power handling. Rugged wood cabinet creates a serious stage presence. By keeping track with the current market developments, we are engaged in presenting 18in Passive Subwoofer to our valuable clients. The subwoofer is fabricated by our certified vendor as per the current technological advancement in strict adherence to the set industry norms and is quality tested. The subwoofer we offer can be availed in different specifications to meet the exact needs of the clients. 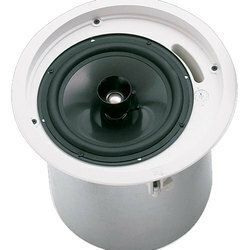 We offer this subwoofer in excellent packing facilities to our renowned clients. 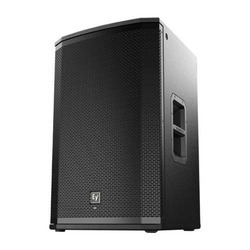 We are a noteworthy distributor, trader and supplier of high grade 15 Two Way Powered Loudspeaker 50.6 Lbs 30kg. This loudspeaker is designed at our vendors' end using the supreme class component in line with international standard to ensure flawlessness at the users’ end. 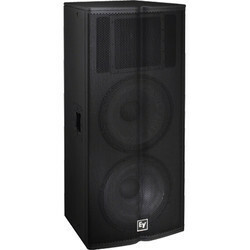 The offered loudspeaker is available in different specifications to meet the varied needs of the clients. 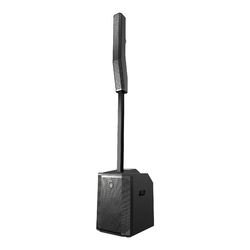 This loudspeaker can be availed in bulk quantities at pocket friendly price by our valuable clients. 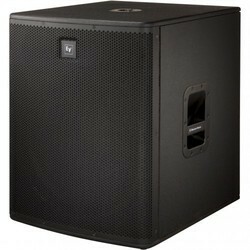 We are instrumental in offering high quality range of 18 Powered Subwoofer 69.7 Lbs 32 kgs. It is designed and manufactured by our vendors using high grade component and cutting edge technology under the guidance of a skilled team of professionals at their premises. 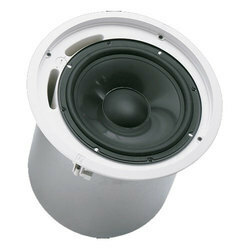 The offered subwoofer is available in different specifications as per the application requirements of the clients. This subwoofer is tested on various predefined standards of the industry by our experts. 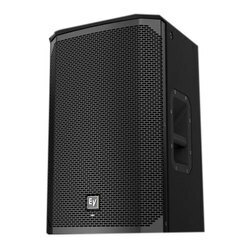 Owing to our expertise in this field, we are offering 12 Two Way Powered Loudspeaker 41.6lbs 18.9kgs that is fabricated by our vendors using high grade component under the guidance of technocrats. 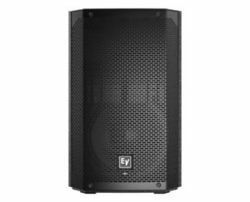 This loudspeaker is available in different specifications as per the application requirements of the clients within the promised time - frame. 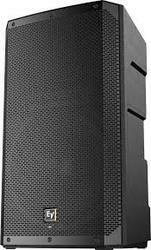 We check our offered loudspeaker on various quality parameters before supplying to our valuable clients. It can be availed by our esteemed clients at rock bottom prices from us. QuickSmartDSP features best-in-class processing.Easy setup via three presets, sub/top system-match, five user-programmable presets, visual monitoring of limiter status, input level control and meters, and master volume control to optimize gain structure, all via LCD. High-efficiency 1200 W Class-D power amplifier delivers up to129 dB peak SPL utilizing ultraefficient, high-sensitivity transducer designed and engineered by EV. Ideal for portable and installed applications.Professional grade hardware: integrated M20 threaded pole mount plate and two-handle design for easy lifting. QuickSmartDSP features best-in-class processing. Easy setup via four presets, sub/top system-match, three-band EQ, five user-programmable presets,visual monitoring of limiter status, input level control and meters, and master volume control to optimize gain structure, all via LCD. 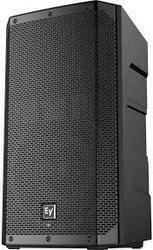 We are providing our clients an excellent quality gamut of 12 Two Way Passive Loudspeaker. 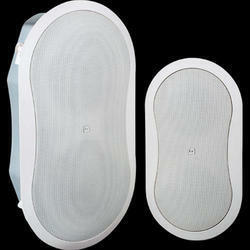 It is manufactured by our vendors in line with international standard. Our quality personnel test this loudspeaker on a series of parameters to ensure quality as per defined industry norm. 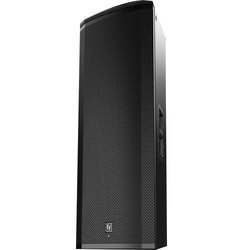 Our clients can avail this loudspeaker in various technical specifications as per guideline provided by them to meet the exact requirements that is designed by our certified vendor and can be availed from us within the promised time-frame. 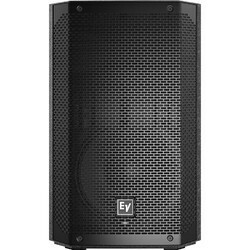 The versatile ELX 112 loudspeaker is a compact powerful choice with real stage presence for sound reinforcement and stage monitoring applications. 94-dB SPL sensitivity, 132-dB max SPL. 250-W continuous and 1000W peak power handling. Rugged wood cabinet–pole mounts or stacks with LiveX woofers. 1600 W (peak), 129 dB peak SPL utilizing highsensitivity transducer designed and engineered by EV for maximum punch. 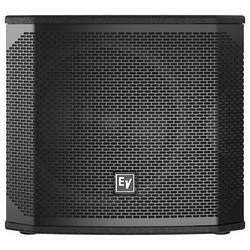 Looking for Electro Voice Speakers ?